Adults who have experienced sexual trauma are at risk of PTSD, depression, eating disorders, sexual dysfunction, alcohol and illicit drug use, suicidal behavior and suicidal threats, physical symptoms, and severe preoccupations with physical appearances (Yuan, Koss, & Stone, 2006). Children who have experienced sexual trauma are at risk of posttraumatic stress disorder (PTSD), depression, suicide, alcohol problems, and eating disorders (Yuan, Koss, & Stone, 2006). Nearly forty-five percent of women and twenty-five percent of men reported experiencing some form of sexual abuse or violence during their lifetime, but sixty four percent do not report to law enforcement (Centers for Disease Control and Prevention, 2011). This is the first webinar of the Shattering Walls Series. 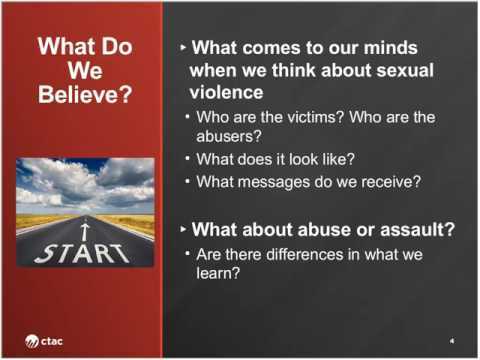 This series aims to build more awareness around sexual abuse and violence and provide perspective and information about resources and best practices for providers who work with clients who may have experienced or are experiencing sexual abuse, violence, or assault. In this series we will focus on general awareness and overview, a survivor’s experience, the male perspective, community based interventions, and conclude with best practices.